A well-known Pakistan-occupied Kashmir (PoK) based editor-journalist has favoured people-to-people contact and exchange of ideas between all parts of Kashmir for greater regional understanding and meeting of minds. Haris Qadeer, a former editor of an Urdu daily published from Muzaffarabad, said, there should be "frequent contact and movement of journalists" in conflict zones, so that truth doesn't remain in the wraps. 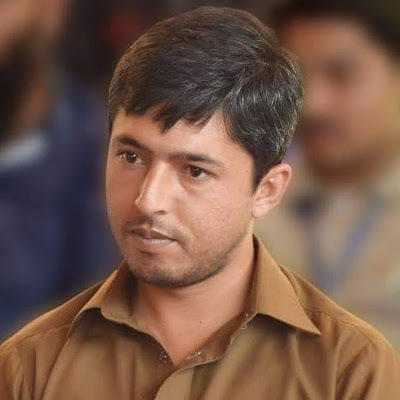 Qadeer, who was interacting with Guwahati-based scribes online recently, edited "Daily Mujadala" till it was sealed by Pakistani authorities a year ago. Talking of challenges faced by working journalists in conflict zones, he called upon aspiring scribes to cultivate proper commitment and passion for the medium if they wished to survive in the increasingly difficult profession. Qadeer, who now contributes news features for a few Pakistani media outlets, while appreciating the vibrant Indian media, nurtured with constitutional safeguards, expressed concern over the "restricted media freedom in Azad Kashmir (PoK)", adding, "More people-to-people contact and exchange of ideas between different stakeholders could bring about peaceful resolution to Kashmir." Qadeer said that most of the issues concerning nearly four million mostly Muslim populace of PoK are not highlighted in the media, as vernacular newspapers remain weak, and majority of newspapers, circulated in PoK, are Kashmir editions of various Pakistan-based media outlets. As for news channels, which are primarily cable operated, and not DTH, there is zero visibility of any India-based news channel in PoK. On the other hand, Qadeer added, the mainstream media of Pakistan remains reluctant to highlight the issues of PoK as the region is geographically and psychologically isolated. The entire PoK area suffers from lack of development, in particular road infrastructure, when there is no train connectivity, Qadeer said, adding, there is no operational airport in the region as all of them have been occupied by defence personnel. So the aspiring residents have to move to Lahore or Islamabad by road before they could proceed to other places, including foreign countries. As for healthcare facilities, they too are sparse. Those who can afford people prefer to move out for treatment, he said. Answering queries from Guwahati scribes about any change of perception after Imran Khan became prime Minister, Qadeer commented, it is too early to say anything. However, he added, PoK residents have little expectation from the new regime in Islamabad. Qadeer regretted, the Kashmir affairs minister in Islamabad was more powerful than even the Prime Minister of PoK (presently Farooq Haider). However, he clarified, Pakistani military personnel are not visible inside PoK and internal security is fully maintained by local police forces. Admitting the presence of Islamist fundamentalist elements in PoK, he pointed out that the growth of radical elements and terrorism has affected local aspirations for a greater Kashmir, which, according to him, should also include Baltistan-Gilgit and Aksai Chin. In contrast to the commonly-held belief in India, the people of PoK are neither in favour of Islamabad nor in support of New Delhi, rather they prefer to identify themselves as Kashmiris first, claimed Qadeer. Speaking about the crisis facing journalists in conflict zones like PoK, he revealed what he faced following a survey report published in "Daily Mujadala" last year. The outcome of the survey was shocking, as over 73% respondents opted for freedom from Pakistan, seeking to establish an independent State of Kashmir. Irritated Pakistani authorities promptly sealed his publication, which continues till date, he said, adding he saw and little hope of change of heart among Islamabad-based politicians or Rawalpindi-based military officers.